Does He Invest in Coal Too? Candidates are beginning to make statements in local papers as our latest round of elections gets under way. Jamie Stephens is running from Lopez. Stephens answers questions in a recent edition of the Islands Weekly. Remember, Stephens voted for all of the CAOs, and he purportedly believes all shorelines are critical. In the Islands Weekly, Stephens expresses concern about global warming and sea level rise. We need to implement the Critical Areas Ordinances and Shoreline Master Plan update process. We must plan for the effect sea level rise will have on our long-range planning for roads, utilities, and other infrastructure needs. Stephens has a house on the shoreline with at least 200 feet of bulkhead and a guesthouse/studio so close to the shore that it sits over the water at high tide (see photos below). Is this a man we should listen to about sea level rise? Bear in mind, too, that Stephens voted for CAOs that require homes on shorelines to have three different kinds of overlapping buffers to protect fish and wildlife habitat: coastal geologic buffers, water quality buffers, and tree protection zone buffers. According to the CAO maps, Stephens' shoreline is critical salmon and eelgrass habitat. Does Stephens think it's alright for his home (but no one else's) to affect critical habitat with unbuffered development? He also advocated for permanent protection of the Bureau of Land Management lands in San Juan County and has traveled to Washington D.C. to further the effort. Yes, so concerned was Stephens about the ecosystem here in the islands, that he departed his shoreline multiple-building compound with its 200-foot bulkhead, hopped into his Jaguar X-type (approximately 19 miles per gallon combined), drove to SeaTac by himself, and flew to Washington D.C. (1,793 lbs of carbon emissions per passenger) to personally lobby for the National Monument by rubbing elbows with DC elites. As of yet, there is nothing except carbon emissions (and other hot air) to show for it, but the lobbying continues mightily. Back here, Stephens claims the County budget has stabilized, and it has -- at historically high levels of debt and near-record levels of expenditures. He says he believes in "providing opportunities for jobs" but the CAOs are replete with some of the cruelest job-killing gotchas ever conceived of by this County. Stephens uses the tired old canard that has become the favorite catch-phrase of the Friends that "One has to be more careful with an island." When will he start being more careful? I think we need to be more careful with whom we elect. The Stephens compound in Lopez Village with its extensive shoreline bulkhead. The Stephens compound from beach level. High tide is approximately 1.5 feet higher than shown in the photo. This blog was born out of the Charles Dalton controversy. In that situation, Dalton was accused of conducting various illegal activities in wetlands, including constructing buildings in wetland and riparian buffers. Wetland scientists claimed that a wetland and a stream existed on the Dalton property. Hydrogeologists said otherwise and presented countervailing evidence. The battle between wetland scientists and hydrogeologists has been going on since 2008, and it was kicked off right here in San Juan County. That's when a resident state-licensed hydrogeologist first filed complaints with the Washington State Board of Geology about wetland scientists. Wetland scientists seemed to be practicing hydrogeology without having the necessary license or skills. Wetland scientists and their checklist methods seemed to be getting the hydrology of "wetlands" completely wrong. After the Dalton case made news, the professional disagreements between hydrogeologists and wetland scientists intensified. State Geology Board meetings are typically pretty boring affairs, but in 2012, they were frequently attended by angry citizens and licensed professionals all complaining about wetland scientists. Wetland scientists also presented their case (especially at the December 19 meeting), including heavy-hitters from the Department of Ecology such as Erik Stockdale. The wetland science-hydrogeology drama even encompassed the Attorney General's (AG) Office in 2012. A state legislator asked the AG to provide a legal perspective on the controversy. After months of waiting, we were finally treated to an unofficial AG opinion that essentially said nothing, and it placed the onus back on the Geology Board to resolve the dispute. While this was happening, public records requests to the Geology Board turned up evidence that Geology Board staff members (not the Board members themselves, but staff) may have been working all along to protect wetland scientists from scrutiny by the Geology Board. Emails between staff members and prominent wetland scientists suggested a very cozy relationship that raised suspicions. Meanwhile, back here in San Juan County, every effort was being made by CAO supporters to discredit hydrogeologists and develop wording for "qualified professional" in the CAOs that would exclude hydrogeologists from ever being involved in wetland delineations. Hydrogeologists claim that wetlands are waters of the U.S. (or State) and hydrogeology is the science dealing with the occurrence and distribution of the waters of the earth. Therefore, wetland delineation is hydrogeology. Moreover, hydrogeologists claim that "wetland scientists" have become involved in many hydrogeological activities not directly related to wetland delineation such as stream studies (e.g., geomorphology) and groundwater investigations. Wetland scientists argue that they are following procedures specified by State law (i.e., the wetland delineation manual), and their "science" deals only with shallow groundwater and other activities confined to the upper meter of the earth. As such, it is not geology/hydrogeology. Also, wetland scientists argue that their science is multi-disciplinary, involving plants and soil science, and is therefore not geology/hydrogeology. On December 20, the Washington Geology Board weighed in with a new policy regarding the practice of wetland science and hydrogeology. Essentially, the Board agreed with the hydrogeologists; however, the Board allowed a limited carve out from the geology licensing laws for qualified wetland professionals who only make observations and apply those observations per the checklists referenced in State law. In short, wetland scientists can do nothing more than make observations for the purpose of completing the wetland delineation checklists. Wetland scientists cannot offer interpretations of geochemical conditions or water tables. They cannot evaluate or identify streams, geomorphology, or conduct shallow groundwater investigations. The Geology Board, it seems, considers the checklist-based delineation activities to be non-professional activity -- it's technician-level box-checking work. Indications are that the Board thinks the wetland delineation methodology (as it relates to geochemistry and hydrology) is such a poor methodology that, like water witching/dowsing, the Board cannot bring itself to regulate it as the science of geology/hydrogeology. Therefore, the Board will allow delineation checklisting to survive under a very limited "exemption" from the geology licensing laws because such activities are so far beyond the pale of real science and because the checklist activities are enshrined in State law. However, the Board went on to clarify that anything beyond checklisting is the practice of hydrogeology, and authentic hydrogeology informs the wetland delineation process. The interpretation and application of hydrogeologic data, beyond the observation of shallow groundwater, used to inform the multidisciplinary wetland delineation process is included in the practice of hydrogeology as adopted by state law (RCW 18.220 and WAC 308-15). You can read the entire Board policy here. This new policy means that hydrogeologists cannot be excluded from practicing in wetlands, and hydrogeologists can use any of their normal professional methods to investigate and make interpretations relevant to wetland delineations. As professionals subject to Board review, hydrogeologists are not restricted to using delineation checklists and checklist methods to draw conclusions related to hydrology and hydro-geochemical conditions in wetlands, which are two conditions precedent to wetland occurrence. The bottom line is that the work of licensed professionals (hydrogeologists) trumps the box-checking activities of technicians (wetland scientists). For both scientific integrity and individual rights, this was one of the most significant victories of 2012. We hope all of our readers have been enjoying Christmas. The Trojan Heron hasn't published in about a week, but we've been busy making use of our holiday by researching stories for the upcoming year. The Trojan Heron isn't even one year old yet, but in our short life span, we've had about 85,000 hits. Each month, our hit count increases, and in many ways, we are just getting started. There was discussion about the local blog that appears to be following all of the emails coming to Linda's county email address; some of the blog commentaries have been written in the worst light, Linda said, and information is taken out of context. Members agreed with Kit Rawson that the MRC has nothing to hide. All we really do is report events as we see them, using primary sources of information (such as emails) as much as possible. If the MRC has nothing to hide, why are they included on emails involving the Friends and County consultants arranging meetings to "happen outside of the County’s public participation plan?" Those aren't our words. And as far as Linda Lyshall is concerned, she provided testimony before the Council on November 20 stating that the MRC's parent organization isn't the Council but the Northwest Straits Commission. Lyshall, one of the more prominent members of the MRC and a County employee to boot, doesn't even know who she works for ... doesn't even know enough to hide her spectacular ignorance of County committee hierarchy. As for whether the Trojan Heron reports in the correct light, we report stories in the light in which we find them. Often, it shows our appointed public servants to be oblivious of their public responsibilities. Often, it shows our citizen committees to be entirely out of control, and the MRC is one of the best examples of the worst behavior of committees. Frequently, the corruption and dysfunctionality of our County (and State) officials seems to be exceeded only by their breathtaking hypocrisy and ignorance. Most of our stories have to do with Iceberg Government. They'll be lots more of that in 2013. What do you think the top stories have been? It seems that more and more of our County residents are coming to grips with the horribleness of the CAOs. Many people erroneously believe that agriculture is somehow unaffected by the CAOs. Not true. Agriculture stands to lose big time, and if you listen to Stephanie Buffum of the Friends, she wants new agriculture to be subject to a conditional use permit (CUP) too. If you've ever paid attention to the CUP process, you know that probably means that your right to farm would all but be eliminated. San Juan County opted into a state program called the Voluntary Stewardship Program (VSP) for agriculture vis-a-vis the CAOs. The trouble is that there is no money from the state to implement it, and it is unlikely to be implemented any time soon, if at all. Also, no one really knows how it will work exactly. In the meantime, all agriculture has to comply with all the usual requirements of the CAOs, until or unless the VSPs are put in place. The idea behind the VSPs is that a farmer would trade strict compliance with the CAOs for strict oversight and monitoring of their farming operations. Every farm would be under the regulatory microscope. It is a Faustian bargain. For a sense of what that could be like, have a look at the experiences of Joe Lemire, a rancher in Columbia County. It looks like the same old story: "they" accuse you of using your property (no matter how minimally), want no-go zones, and ultimately force you to prove your innocence despite there being no evidence that your activities are actually causing any harm in the first place. The regulators believe that your use of your property -- your mere existence -- is the harm that they seek to curtail. Back here at home, I was describing the CAOs to one of my neighbor's farm animals, and this was the reaction (see below). It shows more sense and better instincts than most of our Council members. Gibberish and a whole lot of pointless activity. I finally found a song that is worthy of being the theme song of our Critical Areas Ordinances (CAOs). See the YouTube video link at bottom of post. If you watch the video very closely, you can almost make out Fralick, Miller, Pratt, Rosenfeld, and Stephens cavorting with glee over having rammed the CAOs through. In November 1972, Italian pop star Adriano Celentano released a song that hit No. 1 in his home country, despite the fact it wasn't performed in Italian. It also wasn't performed in English. In fact, it wasn't performed in any language at all. The song, called "Prisencolinensinainciusol," was written to mimic the way English sounds to non-English speakers. "Ever since I started singing, I was very influenced by American music and everything Americans did," [Celentano] tells Guy Raz, host of weekends on All Things Considered, through interpreter Sim Smiley. "So at a certain point, because I like American slang — which, for a singer, is much easier to sing than Italian — I thought that I would write a song which would only have as its theme the inability to communicate," he says. "And to do this, I had to write a song where the lyrics didn't mean anything." "Prisencolinensinainciusol" is so nonsensical that Celentano didn't even write down the lyrics, but instead improvised them over a looped beat. When it was first released in 1972, Celentano says no one noticed it. But that didn't stop him from performing it several years later on Italian television. The second time was the charm: it immediately became No. 1 in Italy, as well as France, Germany and Belgium. But is that really what American English sounds like? "Yes," he says. "Exactly like that." To us, it just sounds like the CAOs. Below are a few more select quotes from various parts of just the General Section (emphasis added). The burden of proof is on the applicant to provide adequate information for the director to make a finding of compliance with the requirements of this subsection (D). Who Needs to Undergo Critical Area Review? Critical Areas. This section outlines the process for reviewing projects to identify Critical Area requirements that apply under SJCC 18.30.110 through 18.30.160 (Critical Area regulations). Unless exempt under SJCC 18.30.110, prior to removal of vegetation or site disturbance, all development activities and vegetation removal requiring a project permit or development permit, review or approval under other sections of County Code, must undergo this review. Prior to approval, sufficient information must be provided to demonstrate compliance with SJCC 18.30.110-160. Any illegal degradation of protected Critical Areas must be mitigated and if mitigation is not completed prior to issuance of permits, a financial guarantee must be provided. Uses and activities may be continued, replaced with other uses or activities, or relocated, provided, any required project or development permits are obtained, and there is no increase in the magnitude of adverse impacts to water quality or the functions and values of critical areas. Relocation of any use or activity in this area shall be reviewed as a provisional use. Who decides whether your existing uses or activities may be increasing the "magnitude of adverse impacts to water quality or the functions and values of critical areas?" Short answer -- not you! And for your reading pleasure, here is an excerpt (emphasis added) from the General Section (don't fret, the worst is yet to come). Merry Christmas one and all! Critical Area Review process. All plans for development of commercial, industrial, institutional and public facilities must undergo review for compliance with groundwater protection requirements for critical aquifer recharge areas (SJCC 18.30.140). The Department shall review the application, available maps, and information and if requested by the property owner, shall conduct a site inspection prior to determining whether the proposed project may affect or be affected by a wetland, fish and wildlife habitat conservation area, frequently flooded area, or geologically hazardous area. If the area proposed for development or vegetation removal is not in a frequently flooded area; is more than 200 feet from a geologically hazardous area; is more than 205 feet from a wetland, or fish and wildlife habitat conservation area; is more than 1,000 ft. from any golden eagle nests; and is more than 1⁄4 mile from any peregrine falcon or great blue heron nests, the Department shall rule that the Critical Area review is complete with regard to those types of critical areas. Otherwise, the Department will notify the applicant and provide them with a list of any report(s) or application materials required by SJCC 18.30.110-160. If required, these reports and materials must be received before an application will be deemed complete. Detailed requirements for Critical Area Reports are identified in SJCC 18.30.110-160. If the director finds that a report does not accurately reflect site conditions, is inadequate to determine compliance, or does not meet the requirements of SJCC Title 18, the director shall contact the qualified professional who prepared the report to discuss the issues, and if necessary shall have the report reviewed by a third party qualified professional. The report shall not be accepted as complete until it meets the applicable requirements. A few posts ago, we talked about the role of the political parties in the upcoming elections. Today, we find out that the Democratic Party is looking to endorse candidates in our local elections, despite the elections being officially non-partisan. The Democratic Party has contacted several of the candidates to see if they would like to be interviewed for an endorsement. It is the right of the parties in our free society to voice their support of candidates; however, this situation seems ripe for abuse, especially after the parties have been specifically excluded by the voter-approved Charter. We continue to question whether either party can offer anything constructive on the local level. We continue to question whether candidates who seek endorsements are following the spirit of the Charter (and the will of the people). It smacks of purity tests, and we fear we will end up with party-managed candidates on the local level just like we have them at every other level in our political system. See the email below: Party questionnaire is required? Get back to me by the 17th at noon? How about, "Take my clothes to the cleaners for me. Walk my dog, too, and drop this line item in the upcoming legislation." Watch the brief clip of John Stewart where he comments on the extent to which national candidates are managed (starts about 1min 30sec into the clip). From our perspective, we don't want to encourage that sort of behavior here. the race for the County Council, please contact me by email before noon, Monday, December 17. Completion of a questionnaire is required in the endorsement process. Thank you and good luck with your campaign. And those words will be forever associated in my mind with one man, who used them to describe his own deeply personal loss many decades ago. That is why, aside from paying respect to the victims of Newtown, this post is also a riddle. Nearly every word of this post comes from the speeches of one our nation's greatest lost leaders. I hope it can serve as a reminder that there used to be a time when our politicians spoke of humanity and hope instead of buffers. There was a time when our politicians were gladiators for liberty rather than community facilitators. There was a time when our environmental organizations weren't building their fortunes on the shattered dreams of others. There was a time when at least some of our leaders gave a damn about people. The first element of this individual liberty is the freedom of speech: the right to express and communicate ideas, to set oneself apart from the dumb beasts of field and forest; to recall governments to their duties and obligations; above all, the right to affirm one's membership and allegiance to the body politic - to society - to the men with whom we share our land, our heritage, and our children's future. Hand in hand with freedom of speech goes the power to be heard, to share in the decisions of government which shape men's lives. Everything that makes man's life worthwhile - family, work, education, a place to rear one's children and a place to rest one's head - all this depends on decisions of government; all can be swept away by a government which does not heed the demands of its people. Therefore, the essential humanity of men can be protected and preserved only where government must answer - not just to the wealthy, not just to those of a particular religion, or a particular race, but to all its people. These are the sacred rights of Western society. The posture of our current Council, and that of several candidates in our current election, is a betrayal of the principles espoused by those words. This post will touch on a couple of déjà vu items. To start off, the first day of candidate registrations ended Wednesday, and we've got some familiar faces running for office again. CAO aficionados Lovel Pratt and Jamie Stephens are hoping that county-wide voters will overlook their budget-busting, CAO-approving ways and return them to office. If you like grant-fixated, never-big-enough, Olympia-oriented, DC-pandering, partisan-box-checking, community-ignoring, noblesse-oblige, we-know-what's-good-for-you government, you'll love the records, positions, and supporters of those candidates. The only person missing from Pratt's society-pages campaign committee seems to be Lady Bracknell. For a list of all the candidates who have registered so far, you can find it here. 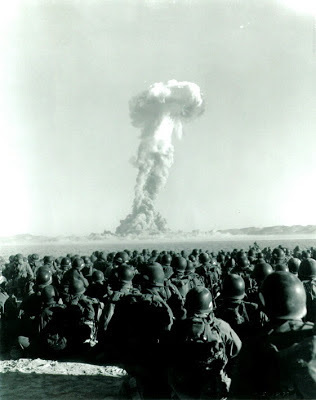 The second déjà vu item has to do with a couple of U.S. Supreme Court cases that may have great relevance to the implementation of our freshly minted CAOs. Each case is being brought before SCOTUS by the Pacific Legal Foundation (PLF). PLF has a great record before the Supreme Court (6 won out of 7 argued), most recently winning a wetland case for the Sacketts of Priest Lake, Idaho. These SCOTUS cases are déjà vu items because, in both cases, the narratives of know-it-all government overreach have become all-too-familiar. One case is Koontz vs. St. Johns River Water Management District. In that case, the Water Management District conditioned a development permit for Koontz that would have required him to place a conservation easement over his land and perform mitigation off-site by restoring properties not owned by Koontz and miles away from his property. When Koontz refused the permit conditions, the Water District denied his development permit. Oral arguments for this extraction case are scheduled for January 15, 2013. The other SCOTUS case is potentially even more relevant to our CAOs, and it attempts to do for Corps of Engineers' jurisdictional determinations what the Sackett case did for EPA administrative rulings. Translation: can the government declare any piece of property "waters of the United States" (i.e., a wetland or stream) simply because they say so, without offering any proof that there is relatively permanent water on the property? Peter and Francois Smith live in the high desert of New Mexico without any surface water on their property. Nevertheless, they were ordered by the U.S. Army Corps of Engineers to stop cleaning up their land because they were dredging and filling "waters of the United States" and impacting the Rio Grande River, which lies 25 miles away. Although the Smiths live in the desert, the logic used by the regulatory agencies in that case is nearly identical to arguments we have heard in San Juan County (and surrounding counties too such as Island and Whatcom County). For more on the Smith case, watch the following video or read the linked article. As has been said here in the past, the average weekly wage in our County is one of the lowest in the State, hovering around $600 per week. The latest figures (1Q2012) place us in the bottom 6 counties in the state at $604 per week. Also, while unemployment is generally down from its highest levels, most of our new jobs are low-wage jobs. High-wage jobs are being replaced by low-wage jobs, and if we are experiencing any job recovery at all, we are experiencing a low-wage job recovery. The quality of our jobs is moving in the wrong direction. One of the lowest wage industries is tourism. Tourism creates a low-wage, low-productivity economy. Thirty years ago when running for President, Walter Mondale cautioned us about an economy that consisted of "wrapping hamburgers and sweeping up around Toyotas." Today, that is the grand plan for our county economy envisioned by many of our politicians. They think tourism is our savior, but tourism economics is hamburger-flipper economics. Tourism is heavy on occupations related to food preparation and service, cashiers, and attendants. Look at the eight lowest paying jobs in America, and it reads like the tourism-skewed nightmare that our leaders pitch to us daily. By the way, agriculture comprised 1.2% of our economy with a surprisingly high average weekly wage of $727. Real estate (3.6%) had a weekly wage equal to the average. Among all employment sectors, the top weekly wage was earned by Professional Services ($888), and the lowest was earned by Arts, Entertainment, and Recreation ($330). Note that, besides government, our only top employment sector with an above-average wage (construction) just took it on the chin because of the CAOs. Note, too, that some of our lowest wage employment sectors (accommodation/food service, arts/entertainment/ recreation) are closely linked to tourism. The CAOs discourage nearly every type of economic activity in the San Juans except for tourism. ... Pratt recognizes that a strong local economy is key to our community’s sustainability and continued quality of life. She will continue to support and advocate for the infrastructure needed for year-round, family-wage jobs, such as the wireless ordinance. She will continue to support innovative, locally-based solutions that retain local jobs, such as the Lopez Solid Waste District’s and Orcas Recycling Services’ solid waste and recycling services. Pratt also recognizes that San Juan County’s economy is inextricably connected to the beauty of its environment and the health of its ecosystems. It is very disingenuous to proclaim support for the local economy when you have just voted to kill it with the CAOs. Beyond buzzwords and platitudes (e.g., sustainability, quality of life, beauty of the environment, health of ecosystems), there is nothing to Pratt's typically vacuous statements. While you contemplate the economy-killing, low-wage job strategy of our Council members, be aware that the Friends of the San Juans have just today been awarded over $230,000 in new 2013 grants from the state for salmon recovery projects. Other County entities won a further $80,000 in grants. I am sure that news makes your recent $1.6 billion decline in equity much more palatable. Also, while you contemplate the Council's passage of the largest County budget in history, peruse the benefit plan of County workers, and ask yourself how many other workers in the County might get an equivalent package. I'm not against paying good benefits, but it seems especially ironic that our County government should have among the best pay and benefits package in the islands while our Council pushes economy-killing, low-wage policies on the rest of us. Rumor has it that the Council signed the CAOs without reading the final text. Rumor has it that now -- after having signed, filed, and posted the CAOs -- some members of the Council are claiming that there are "errors" in the final version. Rumor has it that some Council members are claiming that the version they signed didn't include the changes that they approved. Then why did they sign them? Rumor has it that the Prosecuting Attorney advised that they can simply take the existing signature page for each CAO and staple it to a new "corrected" version of the CAOs. Rumor has it that is exactly what the Council is going to do ... quietly ... without making a fuss. Does any of that seem crazy to anyone else? Can a member of the Council pick any old ordinance and claim that it's not the right version, and then work behind the scenes to "correct" it after-the-fact and simply attach the existing signature page to the "corrected" version? Wow! And remember, this Council is already being sued for meeting behind the scenes. Some readers may recognize the title of this blogpost as part of a quotation by Philip Stanhope found in Letters to His Son, which in my opinion, serves as a fitting summary for the entire CAO process, right down to the current signature fiasco: "Quietly cherished error, instead of seeking for truth." The Critical Areas Ordinances (CAOs) were not the final act of this Council. They also passed the budget for 2013. We've heard a lot of whining about how poor our County is, but the fact is that the last two budgets passed by this Council have been the largest in history. No County budget has ever been fatter than the 2013 budget. Not by any measure. The equity of the citizens of the county has just taken a $1.6 billion hit. The Council just passed the most restrictive land use laws ever, with untold consequences on property values and our local economy. We are tee'd up for a Shoreline Management Plan (SMP) update that will make the CAOs look benevolent. Now, we find out that NOAA is resurrecting a plan for "no go" zones on the West Side again. Creep, creep, creep ... push, push, push ... nibble, nibble, nibble. What is theirs is theirs, and what is ours is for the taking. Government bullies (and their eco-Friends) have completely overrun this place, using bad science as their weapon and "Save the Planet" as their clarion call and their disguise. Who speaks for the salmon or the sand lances?!? I want to know if anyone will ever listen to The People? From my perspective, neither political party has been able to offer anything constructive on local issues like the CAOs, and personally, I know many people from both parties who have opposed the numerous fatal flaws in our CAO process. Frankly, I think most voters here are independent anyway, with tendencies certain ways depending on the issue at hand. Nevertheless, there are die-hard partisan candidates around here who attempt to muster support from party loyalists for their positions. I suppose that is to be expected. I understand why struggling candidates would want to curry favor with the political parties, but I cannot understand the converse. Why would the political parties want to be associated with some of our public figures? Why on earth would any party want to be associated with anyone having a connection to the Friends of the San Juans, for instance? For that matter, why would any authentic environmentalist want to be associated with them either? Why would any political party want to be associated with our lollyscrambling, people-hating, flat-earth-society Clowncil? Most of our councillors have demonstrated on a weekly basis that they are tin-eared, scientifically illiterate, fiscally irresponsible, legally challenged, poorly educated, uncaring, haughty, and dysfunctional. When did those become values that any political party would want to embrace? A political party would have to have a death wish to associate itself with some of our public figures. Below is a response by Howie Rosenfeld (posted on Facebook) to a letter written by John Evans. You decide who poses the better argument about partisanship. Please what Council rules are you referring to? The Charter only mandates non-partisan elections, not non-partisan anything else: candidates, endorsements, etc. If you are referring to the spirit of non-partisanship, while that may be a noble concept, it is not a rule. My race in particular was a good example of a flaw to even that noble concept. Because of my support for the CAO and my opponent’s opposition, he was generously supported by members of special interest groups and individuals who, with a few exceptions, are mostly property rights types, typically Republican leaning. You can see this from his PDC documents online. There are many developers and realtors as donors. 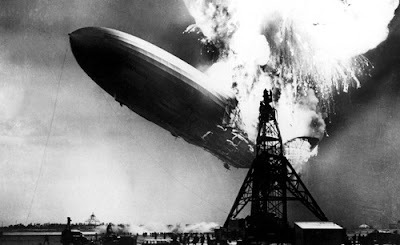 Yes, there was no Republican endorsement but he was de facto their favored choice. He was invited to the Red Barn and I wasn’t. So in this care was the non-partisan label being used more as a fig leaf over what was more of a partisan issue? My Democratic endorsement didn’t overcome the onslaught of anti-CAO sentiment in these District races, but it is liable to be more important in the upcoming countywide races. Are you trying to lay some groundwork to make partisan endorsements unacceptable? I don’t blame you. It is to the advantage of the Republicans, developers, Builder’s Association, etc. to do so. Meanwhile, other Charter counties like Whatcom have politically endorsed candidates. It is not unusual and certainly not illegal. 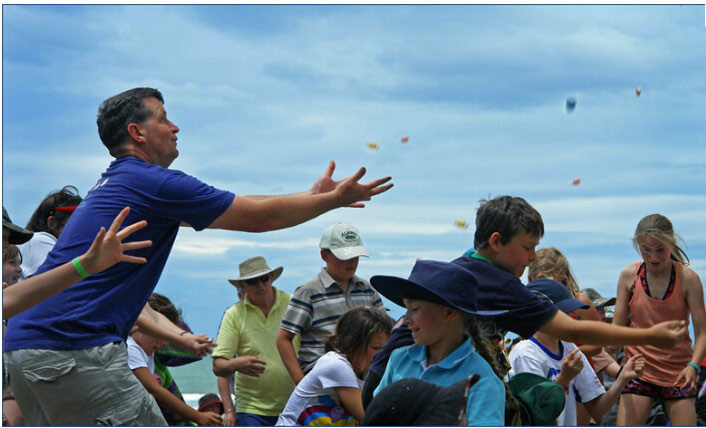 A lollyscramble is a down-under word for a festive search for candies. It's a portmanteau of "lollipop" and "scramble." However, it might as well describe the grant-craving economic madness of our County. Like a sweet-craving child, our County government just can't stop thinking about (or chasing) grants, and it has become frequent justification for bad policy. In fact, back in 1990, our Board of County Commissioners originally decided to fully opt into the GMA because of the promise of grants. And ever since then, we've been chasing after those money-sweetened grant lollies regardless of the unintended consequences. Several current councillors have said that we needed to pass the CAOs because we were missing out on "millions" in grants and loans. Never mind that $1.6 billion in citizen equity was just wiped out because of our latest tax assessment. It is more important to our councillors that we pass draconian, unnecessary environmental restrictions so that our County government can become theoretically eligible for a few million in phantom grants. Ex-Administrator Pete Rose was among the most enthusiastic of Lollyscramblers. As far as Council members go, perhaps no one is a stronger advocate for Lollyscramble economics than Jamie Stephens. Stephens sees "missing millions" like some people see Sasquatch. They're everywhere. Chasing grant lollies. Is this the economic policy of our County? The problem with the claim of "missing millions" is that there is precious little to substantiate it. In fact, looking at the available evidence, it seems like a fanciful bout of wishful thinking to believe in "missing millions." Below are three slides of financial data from the County Auditor which were part of a traveling presentation given by some Charter Review Commission (CRC) members. 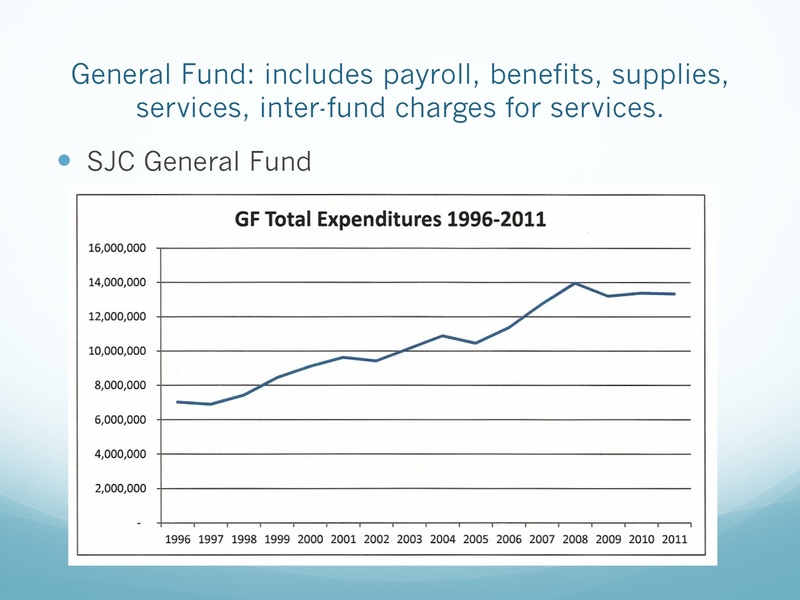 The slides show that our County's total expenditures and the general fund expenditures have grown tremendously. Where is the missing money? 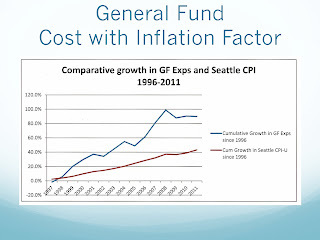 Total expenditures have approximately doubled since 2000. 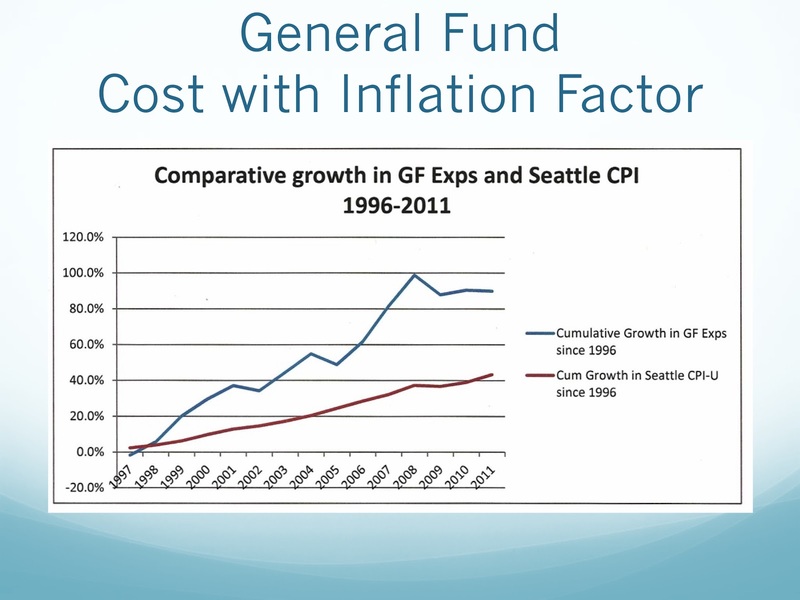 The growth in the General Fund has far outstripped inflation. 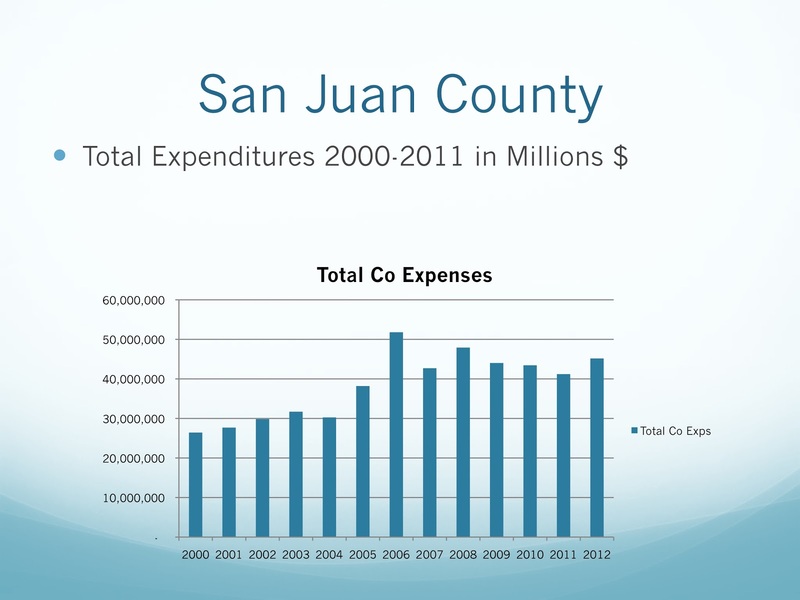 Since the CRC presented these figures, the County has provided updated numbers for 2012 expenditures, and our County government spent more in 2012 than in any other year except 2006 ... the second highest on record. Bubbles may have burst in high tech and the property market, but our County spending just keeps going and going. And the voters approved a new safety tax in 2012 to help out our poor County. On top of all that spending, the Lollyscramblers hunger for more. Even if we give the Lollyscramblers the benefit of the doubt and assume that it is possible to get millions more, should we take it? Do they think our expenditures should be $100 million per year instead of $50 million? The Lollyscramblers are often the same people who talk about (the specious) rampant population growth here, but the County budget has grown much more explosively than population. As we saw with the solid waste debacle, every revenue solution can be blown to smithereens when there is no authentic desire to control costs. The Lollyscramblers almost always focus on getting more revenue, instead of cost control. In fact, the only thing Lollyscramblers seem hell bent on controlling are the land use practices of we citizens. The Council passed the CAOs, and they have no idea what the economic impacts are. None. 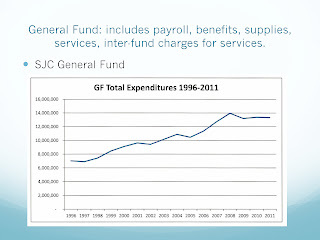 Updated figures in the 2013 budget document (not reflected in the above graph) show 2012 expenditures north of $50 million for only the second time on record. Today, we got our first look at the CAOs that were passed yesterday. They can be found at this link. The County came out with a press release regarding Council CAO approval. As we review and analyze the final version, we will be providing our own commentary. At this stage, it appears as if many of the last-minute changes made by the Council were cosmetic. Councilwoman Pratt is quoted as saying that the CAOs represent "hard work" and "compromises," but the final CAO text appears to represent neither. It makes us wonder whether Pratt has a grasp of either concept. Consider, as a brief example, the Reasonable Use Exception in the General Section. Aside from adding some meaningless platitudes up front about respect for private property, the Council left it alone. It's still the same old unreasonable Reasonable Use Exception that we've seen in every unacceptable draft up to this point. Nothing substantive has changed. One of the local newspapers said the CAOs were "blessed" by the County Council yesterday. We think they have their religious imagery mixed up. The citizens of the County were cursed by it. In a separate matter that might have implications for CAO implementation and general governance, a lawsuit was filed today to overturn the election results regarding Proposition 1 (Actually, the prayer for relief requests that all three propositions be invalidated. See comments below). Among other things, the suit seeks injunctive relief to stop the scheduled county-wide elections for three new councillors. Readers also may remember that there already is a separate lawsuit in progress regarding the behavior of Fralick, Miller, and Pratt and their secret CAO meetings. The year 2013 is shaping up to get off to a bang in what may be a year of continuous litigation for the County. Geologically hazardous and frequently flooded areas passed 6-0. All others passed 5-1, with Rich Peterson opposing. Miller couldn't resist jabbing at Peterson for his "no" vote on the General Section. There were some important changes in today's final hearing, but we will have to wait for the final print copy to give a full report. In the meantime, here is footage of the actual vote and its effect on the County. Oyster-tecture ... You Talkin' To Me!?! I have to provide yet one more link about oysters, of the gobsmacking irony variety. As several of the last few posts have explained, the Department of the Interior (DOI) has ordered the shut-down of an oyster farm in California, over alleged adverse environmental impacts. Now, we find an article that describes a plan to use oysters in New York Harbor to improve the environment. Please follow this link to read more. You won't believe it. All we can say is that Amy Trainer and Ken Salazar better not find out! Or, maybe after the federal government is done beating up the Lunnys and running them off, perhaps the Lunnys can strike it rich as eco-heroes in the Big Apple for doing the very same thing they were condemned in California for. Give me your tired, your poor, your "eco-criminal" oyster farmers yearning to raise delicious locally raised shellfish. The folks who support the Drakes Bay Oyster Farm have started a petition to overturn the Salazar decision. Here is the link. Please consider signing. A "permanent" link has been placed in the blog sidebar too. Tomorrow, the County Council is poised to pass the Critical Areas Ordinances (CAOs). Despite feverish opposition, despite horrifically bad science, despite election results, and despite lawsuits, they press onward. When I am asked to summarize the CAOs for the uninitiated, I find it difficult to find the words to neatly convey their content and flaws. Generally speaking, though, I have come to think of them as the Crimes Against Nature Ordinances (CANOs). Imagine a crime has been committed. The crime is "general worldwide environmental degradation" and you are a suspect. You are a suspect because you are alive, and more specifically, you have "nature" on your property. You come into contact with "nature" during the course of your activities at home, too. The vague wording of the new ordinances ensures that nearly everything is construable as protectable nature (e.g., habitat, water courses, aquifer recharge area, wetland, buffer, etc.). Nearly any activity could be construed as environmental harm, too. That's a dangerous formula. You might think you have nothing to worry about because you consider yourself to be "green" and you live harmoniously with nature. But these new ordinances do not care about that. In fact, the more harmonious and the more integrated your life may be with nature, the greater the potential risk that you might be elevated from suspect to alleged environmental criminal. The person who will decide whether to prosecute you for crimes against nature is René Beliveau, the Director of Planning. It will be his decision alone. He has unlimited discretion. If he decides to prosecute you, you can either admit your guilt (thou shalt not suffer a witch to live) or pay $2,300 to fight the charge. If you fight it, you will need an army of expensive consultants to prove your innocence, and the people who will sit in judgment of your expensive new evidence will be the very people who accused you of the crime in the first place: namely, Beliveau accompanied and assisted by various and sundry "experts" from the State Department of Ecology. If "they" disagree with your experts, and you still wish to fight, then you have to proceed with Hearing Examiner and court challenges. There are still people in this County who think I am exaggerating. There are many who think they (and/or their loved ones) will never be personally subject to the enforcement aspects of this law. You are wrong ... flat dead wrong. And none of it, absolutely none of it, will have anything to do with environmental protection. Every locavore should be against these ordinances. Every permaculturist. Every gardener. Every homeowner. Every Democrat, every Republican, and every Independent. There is no protected class. We are all environmental suspects under this law. It didn't have to be this way, but that is what this Council has done to us ... to our community. None of us should forget it. Please also read the Island Guardian editorial. 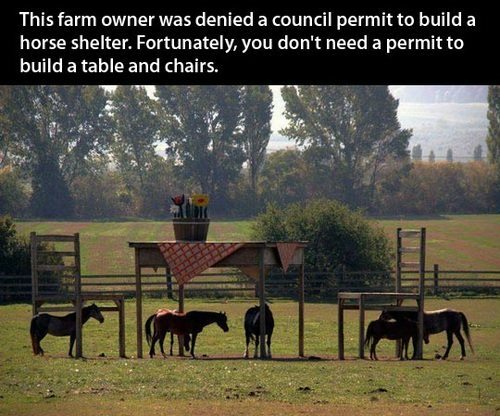 This is how a farmer in Germany got around the permit rules. Our situation may not be so humorous. First they came for the rural inhabitants of King County, and I did not speak out because I did not live in King County. Then they came for the country people of Eastern Washington and the Olympic Penninsula, and I did not speak out because I did not live there. Then they came for the farmers and fisherman of my County, and I did not speak out because I was not a farmer or fisherman. Then they came for the homeowners, and there was no one left to speak out for me. To avoid Reductio ad Hitlerium, I have to clearly state that, no, we are not fighting Nazis, but some of the eco-bureaucratic tactics and reactions by The People can be viewed in a similar light. My Niemöller-style text is but a poor attempt to convey some instances of this for the CAOs. I am sure that Trojan Heron readers could come up with much better versions.